Tong (Jenelle Chu, left) and her mother, Huong (Cindy Im), settle into their Fort Chaffee, Ark., room. In Qui Nguyen’s “Vietgone,” Vietnamese refugees find themselves in a camp in Fort Chaffee, Ark., after escaping with just their lives in 1975. 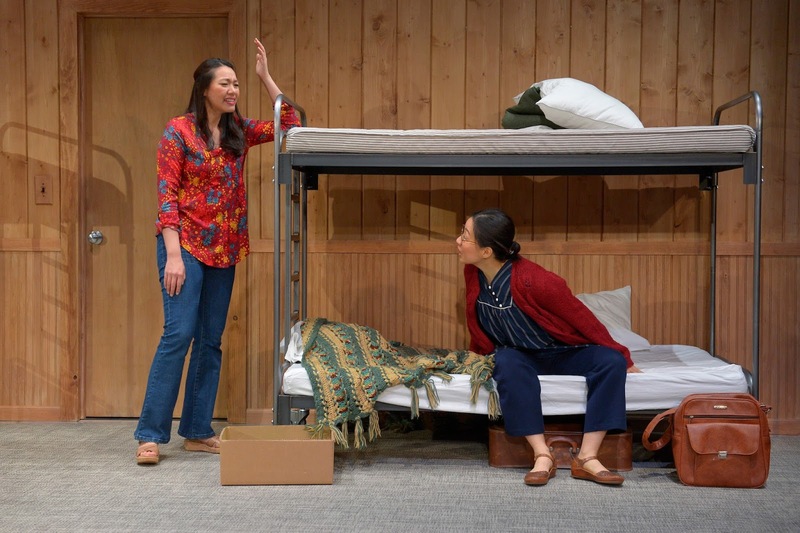 In this production by American Conservatory Theater, Quang (James Seol), a South Vietnamese military helicopter pilot who rescued numerous countrymen, wants nothing more than to return to his wife and two children in Vietnam. Tong (Jenelle Chu), whose beloved younger brother refused to go because of his girlfriend, seems resolved to becoming Americanized. Her mother, Huong (Cindy Im), would rather be back in Vietnam. Hoping to catch a Navy boat back to Vietnam, Quang and his buddy, Nhan (Stephen Hu), set off on a cross-country motorcycle trip to California. Tong has an idea for Quang (James Seol). Before that, however, Quang and Tong become sexually involved despite his being married, much to her mother’s disapproval. In the stronger second act, Quang’s friend Nhan becomes pivotal to the story when he convinces Quang that going back to Vietnam would be hopeless and that he should follow his heart by returning to Tong. Likewise, Tong’s mother convinces her to follow her heart and give in to her love for Quang. That’s the bare outline of this presentation of the story of the playwright’s parents, Quang and Tong. Its action shifts back and forth as the characters undergo various experiences over several decades. During their motorcycle trip, Quang and Nhan encounter an assortment of characters played by Im as the other women and by Hu and Jomar Tagatac as the other men. All of this would be just fine if it weren’t for the often unrelenting torrent of profanities and occasional loud raps, which some viewers might find offensive or offputting at worst and unnecessary at best. Otherwise, it’s an interesting, human-focused look at some little known fallout from the country’s most unpopular war. 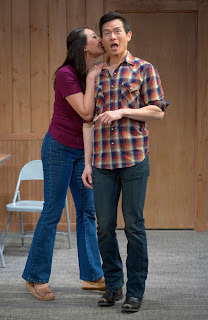 Directed by Jaime Castañeda and billed as a road-trip comedy, the play is well acted. The two-level set by Brian Sidney Bembridge with projections by Chris Lundahl is simple but flexible. Also effective are the lighting by Wen-Ling Liao and costumes by Jessie Amoroso. However, the sound by Jake Rodriguez and music by Shammy Dee are sometimes too loud. Running about two hours and 20 minutes with one intermission, “Vietgone” will continue through April 22 at ACT’s Strand Theater, 1127 Market St., San Francisco. For tickets and information, call (415) 749-2228 or visit www.act-sf.org.